CMC’s core responsibility to its customers (and itself) is to deliver a safe, accident free project, each and every time. This responsibility is met through every element of CMC’s business. 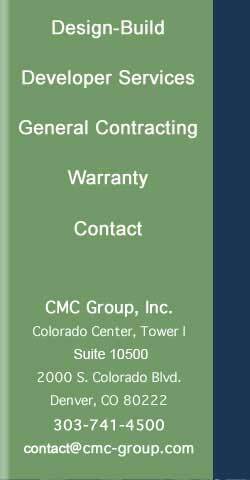 Issued to both office and field personnel at the point of hire is CMC’s specific Safety Manual, which is maintained in-house and updated on an annual basis. This updated document incorporates the a “lessons learned” philosophy. All suggestions or practices brought back to the office through construction personnel are consequently incorporated into the manual. Specifically, CMC maintains on site safety awareness for the following on all job sites. CMC is most stringent in monitoring the practices of the subcontractors on site. Electrical cord compliance, ladder tie off procedures and all other OSHA requirements are monitored on a daily basis. Insurance coverage is also considered a part of CMC’s Safety Program. CMC maintains a close relationship with its carrier and through this relationship; CMC continues to offer the best coverage’s available for general liability, auto liability and comprehensive coverage’s in the industry. When required or requested, CMC also has the ability to provide Payment and Performance Bonds on its projects.